McALLEN — Sentencing for a trio of Valley businessmen is set for this summer after a weeklong trial ended with guilty verdicts. 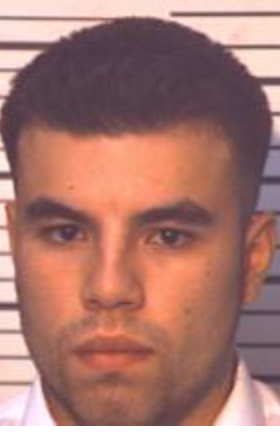 Jurors found both Luis Antonio Rodriguez, 37, of Mission and Rogelio Ramos Jr., 37, of Pharr, guilty Friday of wire fraud after nearly 10 hours of deliberations, according to court records. Guadalupe Artemio Gomez, 32, of Mission, who was also charged with wire fraud in connection with a scheme that intended to defraud victims of hundreds of thousands of dollars, pleaded guilty weeks before the trial was set to begin and eventually testified against his former business partners. The three men operated their financing business under the names T.G. and Wealth, Infinite Properties, and Me In 3D. The companies offered financing at a rate of 8.5 percent on the principal for a 20-year home loan if the customer could afford to give them a 10 percent down payment, according to a criminal complaint. Gomez’s role in the scheme was limited to recruiting prospective homebuyers and sending them to Infinite Properties, which in turn would pay him a 10 percent cut of the down payment, the complaint states. According to investigators, buyers who entered into the phony purchase agreements for properties they chose made down payments to Infinite Properties, operated by Ramos, and were told the closing would occur within 45 to 60 days. However, the closings did not happen and the payments were never used for the purchase of the properties. Attorney for Rodriguez and Ramos, Ricardo Perez, argued his clients never intended to defraud their victims, and worked to get financing from a lending institution in Bend, Oregon, which was set to loan the businessmen $10 million. When Gomez finally spoke with federal authorities he admitted that the $10 million loan from the lending company was meant to fund their scheme. “In anticipation of the loan, Gomez, Rodriguez and Ramos collected down payments on houses in accordance with the advertised terms. However, despite assurances made to prospective buyers that these monies would be used toward the purchase of their homes, (the trio) spent these monies for their own purposes,” the complaint states. Federal agents identified victims in several places including San Antonio, Houston, Brownsville and McAllen, according to the complaint. In August 2016, Infinite Properties allegedly ceased to do business and the victims never received their money back. When clients attempted to reach any of the men, they were met with disconnected phone numbers, or empty business offices. “The business office of Me In 3D and IP in McAllen was vacated. The leasing manager of the property advised that the leasing contract for Me In 3D and IP was terminated and the office is no longer occupied,” according to the criminal complaint. At least three clients lost more than $160,000 with several more losing thousands in investments, according to the complaint. On at least one occasion, Rodriguez said they used the collected monies for a trip to Las Vegas, the complaint states. “Rodriguez admitted that the TGW/IP accepted and spent these down payments knowing that they had not received the financing from Cascade for the purchases of the homes,” the complaint states. Cascade Financial is the lending company in Bend, Oregon. Jurors heard from victims of the scheme, as well as local and federal law enforcement during the more than eight-day trial. Jurors began deliberations after closing arguments late Thursday afternoon — jurors deliberated until about 7 p.m. before being sent home. Despite overwhelming evidence presented by the government’s prosecutors, and a subsequent guilty verdict — at least one juror was not convinced an hour before the final verdict was reached. On Friday just before 11 a.m. the foreperson sent a note to U.S. District Judge Randy Crane, asking what to do if jury was unable to make a decision. Four hours later, at about 3:10 p.m. Friday, the foreperson sent a fourth note — stating they were at an impasse. Court records show that about an hour later jurors reached a verdict and found both Rodriguez and Ramos guilty of one count of wire fraud. 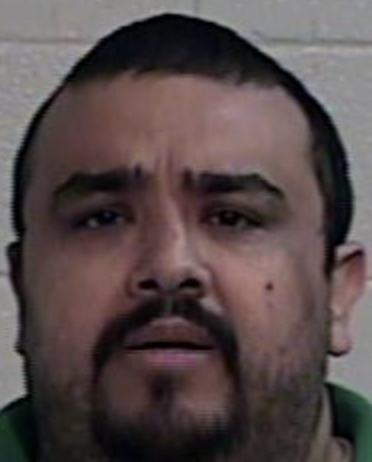 Gomez, who pleaded guilty to the charge in early May, is set for sentencing on July 25. Rodriguez and Ramos remain in custody pending their sentencing date of Aug. 8. All three could face up to 30 years in prison.